Kent Heckman has been a recording engineer for over 40 years, starting out in a small home studio and growing into his current facility, which he designed from the ground up. His discography includes many great jazz artists along with a wide variety of styles and genres. He has taught recording at Lehigh University and at Segue 61 program in Nashville. 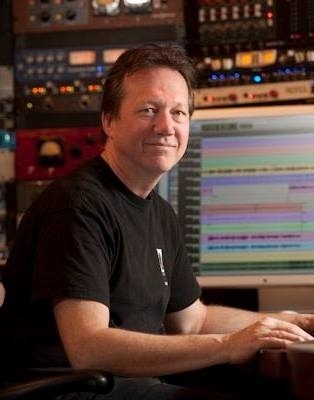 Kent Heckman is the owner and recording engineer at Red Rock Recording Studio. Red Rock began in 1977 in a rented farmhouse, but in 1987 Kent designed and built a ground-up facility, where it is located today, although changed and expanded through the years. The studio began attracting clients not only from the world-class local jazz community but from around the world. Although he is a self educated engineer, Kent has taught recording at Lehigh University, lectured at East Stroudsburg University, and worked on, designed and built studios for others, including Phil Ramone. He has recorded artists such as Phil Woods, Bob Dorough, David Liebman, The Wailin’ Jennys, Heather Masse, Phil Markowitz, Nellie McKay and countless others. For more, see Red Rock Recording.